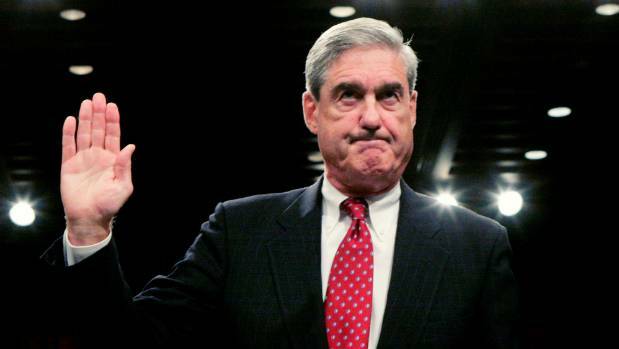 WASHINGTON, D.C. – The FBI Vault provides ample documentation that then Attorney General Robert Mueller, like his successor James Comey, closed several different criminal investigations into Clinton Foundation activity, without producing any recommendations for criminal indictments. During Mueller’s term as FBI Director, the FBI dismissed repeated “pay-to-play” accusations that Frank Giustra paid the Clintons millions of dollars to induce Bill and Hillary to wield public influence in the United States, Kazakhstan and Russia, to assist Giustra in a complex scheme that ended up with Giustra’s Canadian company, Uranium One, controlling some 20 percent of all the uranium mined in the United States. As detailed here, from 2005 to 2013, the public record suggests Giustra was responsible for hundreds of millions of dollars in “charitable donations” to the Clinton Foundation and hundreds of thousands of dollars to Bill Clinton in speaking fees that are suspected of violating numerous federal, state and international violations of the laws regulating the operation, administration and financial reporting of charitable entities. The Clinton-Giustra tag-team effort to reap riches from uranium traces to September 6, 2005, when Bill Clinton and Frank Giustra just happened to be in Almaty, Kazakhstan on the same day. Clinton was there to announce a Clinton Foundation agreement enabling the government to buy low-cost HIV drugs at a time when the HIV problem in Kazakhstan was virtually non-existent (only 1,500 cases reported) and the generic drugs Clinton was peddling were found to be defectively manufactured by the Indian drug-company Ranbaxy, and as such ineffective in combating the disease. Giustra was there to see if he could talk his way into an ownership interest in several uranium mines, knowing that Kazakhstan was the world’s largest producer of uranium. Mukhtar Dzhakishev, then president of Kazatomprom, the government agency that runs Kazakhstan’s uranium mines and nuclear energy industry, has subsequently revealed that then Senator Hillary Clinton had pressured Kazakh officials to secure the deal for Giustra. The New York Times reported in 2008 that once the 2005 uranium agreement with Kazakhstan was final, the next year, in 2006, Giustra returned the windfall to Clinton by donating $31.3 million to the Clinton Foundation to help fight HIV/AIDS in Africa, as a payoff, a gift that remained secret until one month before the New York Times published the exposé. “The gift, combined with Mr. Giustra’s more recent and public pledge to give the William J. Clinton Foundation an additional $100 million, secured Mr. Giustra a place in Mr. Clinton’s inner circle, an exclusive club of wealthy entrepreneurs in which friendship with the former president has its privileges,” the New York Times article in question reported. In 2006, Giustra threw a “star-studded 60th birthday bash” for Bill Clinton at the Fairmont Royal York Hotel in Toronto. The Star in Toronto reported actor Kevin Spacey emceed the event that included appearances by Billy Crystal and Bon Jovi. The Vancouver Sun reported the birthday party netted a $21 million “donation” for the Clinton Foundation. Then, in May 2008, Giustra threw another fundraiser bash in Toronto that raked in $16 million for the Clinton Foundation. By 2008, Clinton and Giustra had enough time to concoct what they called the “Clinton Giustra Sustainable Growth Initiative,” a new program managed under the auspices of Clinton Foundation that apparently was never registered in Canada or in the United States as a charity. As was standard operating procedure for the Clinton Foundation, neither the $21 million reportedly raised in the 2006 Toronto fundraiser or the $16 million raised at the 2008 Toronto fundraiser showed up as separately listed, accounted for, or otherwise described in the Clinton Foundation annual reports, audited financial statements, or IRS Form 990s filed with federal regulators in 2006 or 2008. Because of the lack of detail in the audited financial statements and IRS Form 990s filed by the Clinton Foundation with state and federal regulators, it is impossible to tell whether or not the dollars raised in either Giustra-sponsored fundraiser in Canada was actually deposited in the Clinton Foundation accounts. The only relevant number reported in Clinton Foundation annual audited financial reports and IRS Form 990s is a total number that lumps together all “contributions” to the Clinton Foundation, without specifying what the fundraisers were or how much money each contributed. Even more confusing, the totals in the Clinton Foundation audited annual reports and IRS Form 990s for the same year to not typically agree precisely. The Clinton Foundation annual audited financial report prepared by accountants BKD in Little Rock listed total contributions for the year at $134,217,961, and for grants at $1,599,407. The Clinton Foundation IRS Form 990 filed for 2006 listed total contributions and grants at $135,817,368. There is no mention of 2006 Giustra Toronto birthday bash in either document. The same pattern holds for 2008. The Clinton Foundation annual audited financial report prepared by accountants BKD in Little Rock listed total contributions for the year at $80,194,526, and for grants at $103,622,570. The Clinton Foundation IRS Form 990 filed for 2006 listed total contributions and grants at $184,146,859. There is also no mention of the 2006 or 2008 Giustra Toronto fundraiser in either document. In 2004, Giustra (who started his career as a penny-stock dealer) had attracted investors to put together a company that was eventually called UrAsia Energy Ltd. In 2005, when UrAsia acquired the uranium contracts from Kazakhstan, uranium was trading at $22.00 per pound. In February 2007, when a South African mining company agreed to pay $3.1 billion to acquire UrAsia in a reverse merger, uranium was trading at $113.00 a pound. When the acquisition reverse merger was completed, the surviving company assumed the name Uranium One. To appreciate Giustra’ windfall profits, consider that Uranium One paid $7.05 a share to acquire UrAsia, a company whose shares two years earlier, in 2005, were trading at merely 10 cents a share. As noted, the Uranium One acquisition was a reverse merger. When the complex transaction was final, Giustra and his shareholders ended up owning 61 percent of Uranium One. Then, in June 2008, the Russian State Atomic Nuclear Agency, Rosatom, began negotiations to make an investment in Uranium One. In June 2009, Rosatom subsidiary ARMZ bought a 17 percent stake in Uranium One. According to a New York Times timeline, between 2008-2010 Uranium One and UrAsia investors make $8.66 million in donations to the Clinton Foundation. In June 2010, ARMZ, the wholly-owned subsidiary of Rosatom that originally bought a 17 percent share in Uranium One sought to bought a majority 51 percent control of the company. This transaction, subject to approval by Committee on Foreign Investment in the United States, CIFUS, would give Russia access not only to the Kazakhstan uranium assets owned by Uranium One, but the U.S. uranium assets owned by Uranium One as well. That same month, June 2010, Bill Clinton was in Moscow, being paid $500,000 to give one speech for Renaissance Capital, RenCap, a Cyprus registered corporation controlled by former Russian intelligence officers with close ties to Vladamir Putin. Clinton and Giustra appear to have created three entities represented as philanthropic enterprises. This rather general language, typical for Clinton Foundation annual reports, audited financial statements, and IRS Form 990s, suggests that there are three entities: the Clinton Giustra Enterprise Partnership (Canada), the Clinton Giustra Enterprise Partnership (USA), and the Clinton Giustra Enterprise Partnership. The Clinton Giustra Enterprise Partnership (Canada) was registered by a charity in Canada in 2007, but the other two entities appear never to have been registered in the United States. The two U.S. programs appear to have been used interchangeably, more as “brand names” for various Clinton Foundation programs. The confusion is compounded by the Clinton Foundation general failure to identify any specific program details about what exactly activities, if any, were undertaken by CGSGI funded in 2007, if anything. The Clinton Giustra partnership in Canada is listed on the Clinton Foundation website as having contributed “more than $25 million” through September 2015. Canadian tax records show the Clinton-Giustra partnership in Canada took in $33.3 million in donations between 2008 and 2013. The public record is also not clear on exactly how the donations from Giustra and his Canadian associates was received by the Clinton Foundation, as direct contributions, or as contributions to Clinton Giustra Enterprise Partnership (Canada) that were bundled in Canada before the Clinton Giustra Enterprise Partnership (Canada) sent the contributions to the Clinton Foundation in the United States. For a more comprehensive discussion of the Clinton Foundation scams involving Frank Giustra, Uranium One, and Putin’s Rosatom see: (1) Jerome R. Corsi, Partners in Crime: The Clintons’ Scheme to Monetize the White House for Personal Profit (Washington, D.C.: WND Books, Inc., 2016; and (2) Peter Schweizer, Clinton Cash: The Untold Story of How and Why Foreign Governments and Businesses Helped Make Bill and Hillary Rich (New York: Harper, 2015). This article is drawn largely from Chapter 4, “The Canada Scam,” inPartners in Crime, with extensive footnoting and documentation for all references found there.